NIFA was created by the Nebraska Legislature in 1983 to provide affordable loan programs for low to moderate income first-time homebuyers. We are a quasi-governmental agency that does not receive any state or federal funding. 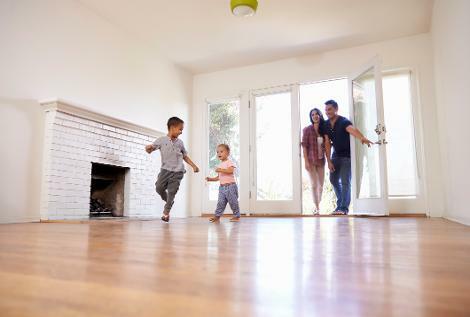 Our homeownership programs have assisted over 90,000 Nebraskans with the purchase of a home. We offer competitive interest rates, low or no down payment loans, low mortgage insurance premiums for conventional loans, and loans for down payment and closing cost assistance. Our unique home loan programs have features that can lower your monthly payments, increase your buying power and remove barriers to homeownership. NIFA partners with a network of approved Participating Lenders who are knowledgeable and trained to process and close loans in our program. 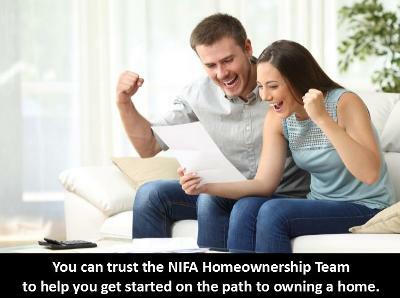 The NIFA homeownership team is here to help find the right loan program for you! To see if you are eligible click here!